What is your earliest memory of having someone read a chapter book to you? Do you have a memory of reading a chapter book to a child? I remember my second grade teacher reading The Lion, the Witch, and the Wardrobe by C.S. Lewis. The memory is still very clear -- the classroom, my teacher, her desk, how the student desks were arranged, where she kept the Chronicles of Narnia boxed set on her bookshelf. The first chapter book I read to my daughter was The Seeing Stone of the Spiderwick Chronicles by Holly Black and Tony DiTerlizzi. I was tutoring a fourth grader that was obsessed with the books, so I thought I would give them a try myself. My daughter noticed I was reading something without her, did not want to be left out of a good book, and asked that I read them to her. We breezed through the series that summer. This week I had the excitement of reading my son his first chapter book, Zeke Meeks vs. The Horrifying TV-Turnoff Week by D.L. Green, illustrated by Josh Alves. He loved it! out the Tongue Flied App! Josh Alves is an illustrator and designer that has leveraged the power of social media and networking to quickly become noticed in the publishing world. According to his website, "After spending nearly a decade working for one of the largest daily newspapers I decided to take the plunge into full-time illustration and design in early 2011." He has used the social networking site Twitter, to land many illustrations jobs. It later helped him get in touch with the art director that selected him to illustrate the Zeke Meeks chapter books. (joshalves.com) The first four books of the Zeke Meeks series, which feature his "Saturday morning cartoon" illustration style (Capstone Kids), became available in January 2012 and four more books are coming in January 2013. He has also written and designed the interactive eBooks Baxter Beaver's Bad Breath and Even a Mouse which are available from the Interactive Touch Books App. 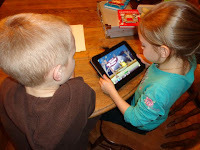 My kids were also impressed with the Tongue Flied game app that he illustrated and designed for the iPad and iPhone. We began our birthday celebration for Josh Alves by reading two Zeke Meeks chapter books. My five-year-old son loved them and talked me into reading more chapters than I bargained for each night before bed. Zeke is a third grader who is not the smartest or most popular kid in his class. He loves TV and video games, really hates bugs, and is scared of his classmate Grace Chang's fingernails. There was a lot to like about this book including the silly rhymes sung by Zeke's younger sister Mia, illustrations to accompany the text on just about every page spread, and lots of boy-humor! These were great books to be the first chapter books that I read to my son. But, it is important to note that my daughter highly recommends the books too as she was equally as entertained. 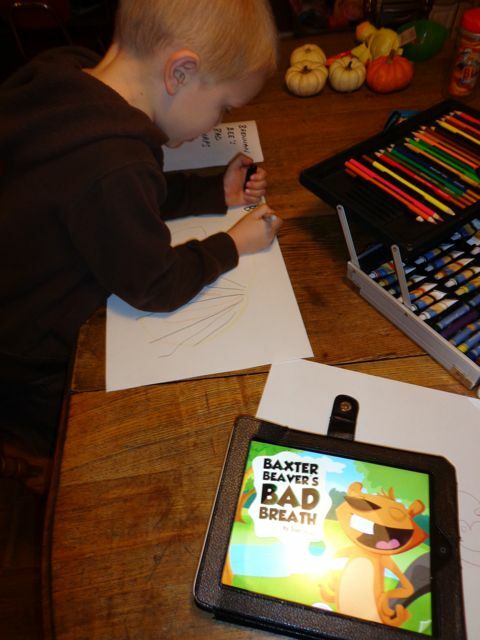 We also really enjoyed the Josh Alves' interactive eBook Baxter Beaver's Bad Breath. It has catchy background music, many subtle interactive elements, and a fun to read alliterative text. When I read the eBook to my kids my daughter said, "There are a lot of Bs in this book." Alliteration, the repetition of a particular sound, became the focus of our birthday celebration activity. We got out our art supplies and drawing paper. Next, we talked about the title of the book and how all the words began with the letter B and the /b/ sound. I asked my older two children to think of an animal that they would like to draw. Then, to think of a name for that animal that had the same letter and sound. Lastly, they had to come up with a problem or silly situation for the animal that also began with the letter and sound. 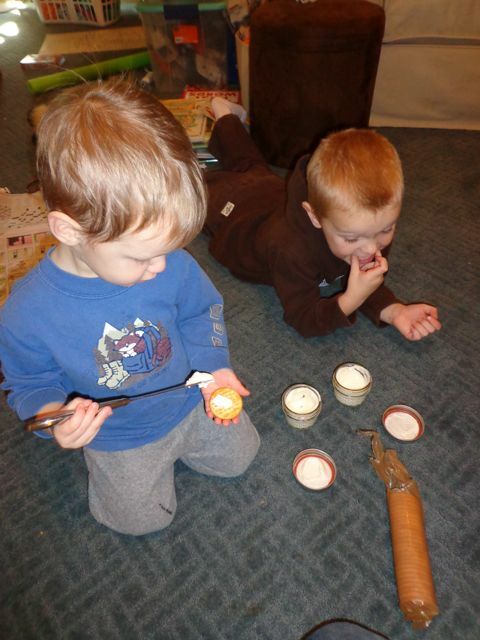 I never imagined that my children would get so excited about this simple activity. 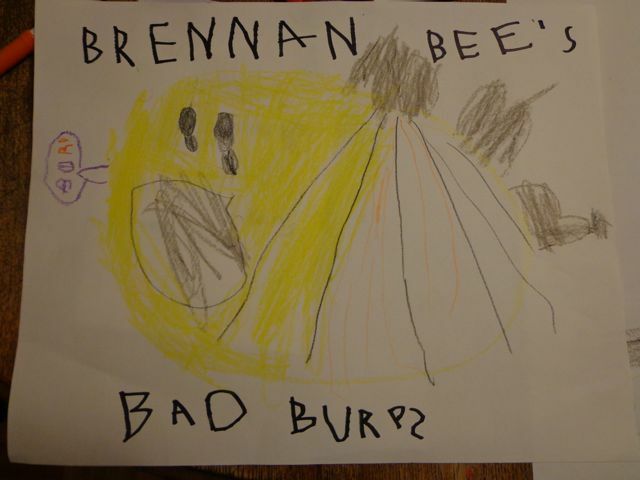 My son decided to draw a bee. Then, he realized his best friend's name also began with a "b". 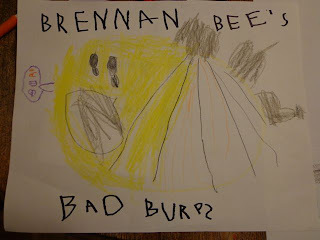 Then, with a little assistance he came up with "bad burps" as the problem for his bee. 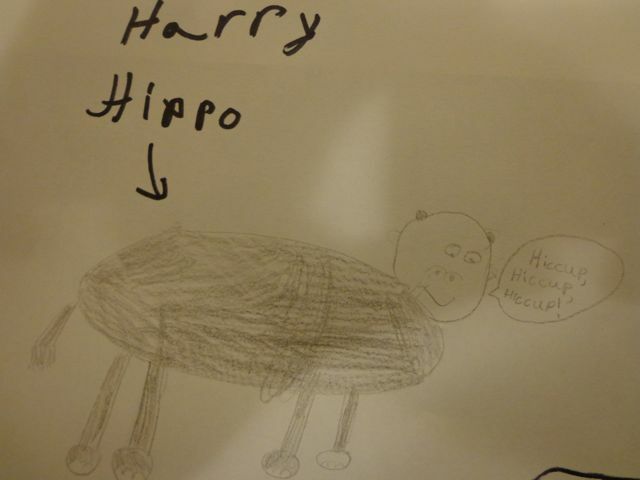 My daughter came up with "Harry Hippo's Humongous Hiccups". 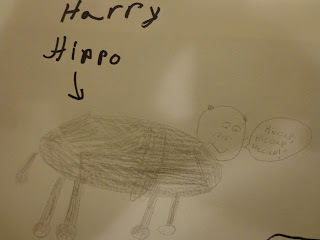 It was harder for her to come up with how to draw a hippo than it was to come up with the animal and his problem. On this particular evening, my wife was working late, and I told my kiddos to keep working while I put our 7 month old baby to bed. To my surprise, after I successfully got my daughter to go to bed I found that my kids were going nuts with alliterative drawings. Together they came up with "Perry Penguin's Protective Parrot". Notice that Perry's protective parrot is trying to warn him about the cracks in the ice. "Lauren Lion's Large Lice" - YIKES! 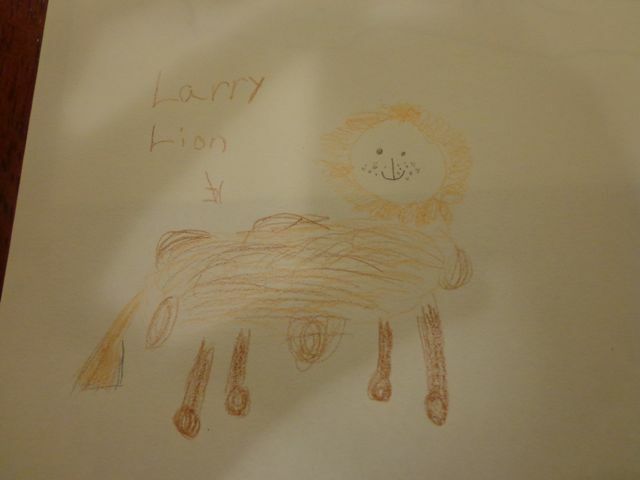 "Larry Lion's Large Lumps". 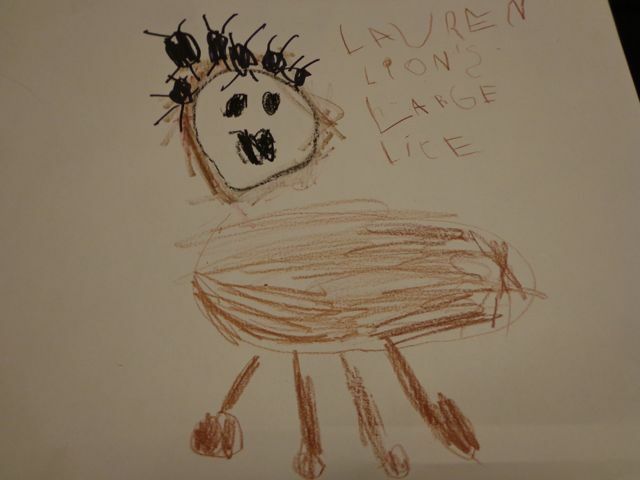 I wonder if he knows Lauren Lion! 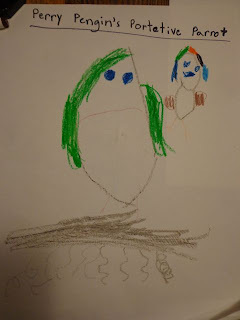 My daughter continued throughout the week making more and more drawings. 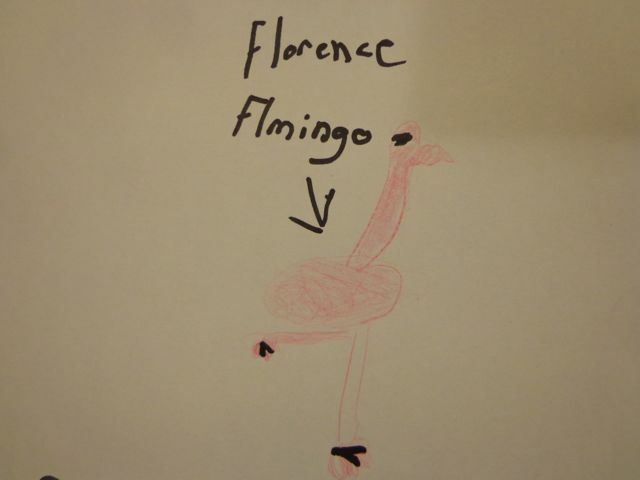 This is "Florence Flamingo's Floppy Feet". 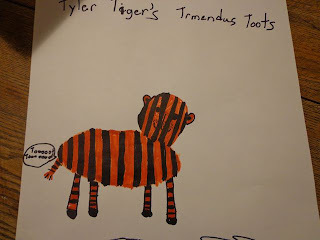 This is "Tyler Tiger's Tremendous Toots". 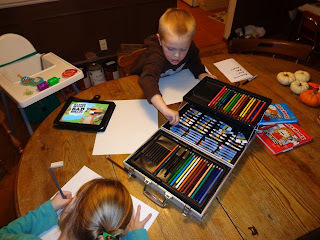 I told my two kids that they had lots of great ideas for picture books! As for birthday traditions - since it's usually so close to Thanksgiving (and like this year, ON Thanksgiving), I remember getting to mix celebrations. It usually involved dressing up as a pilgrim or a Native American (complete with paper bag vest!) and making homemade butter. Josh, thank you so much for taking the time to share a few birthday thoughts. We hope you have a wonderful birthday and Thanksgiving with your family. 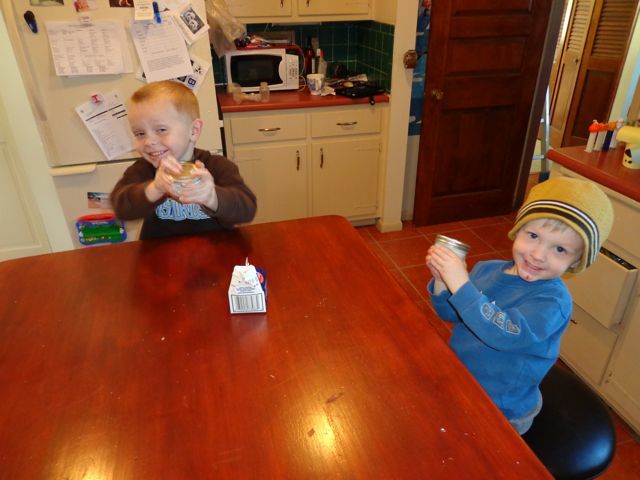 We didn't want you to be without homemade butter on your birthday so my boys shook some up for you! Have a great birthday! We shook up cream in small mason jars to make our homemade butter. It was pretty yummy on crackers! Happy Birthday Josh Alves! 7. Even a Mouse Trailer! Thanks for this post - I've always had an "unbiased" appreciation for Josh's work! Your use and creativity in using his work and celebrating his birthday is great! 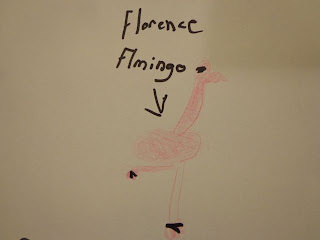 Hoping that your children will remember these special times when they themselves become published authors/illustrators! You are doing a great job!